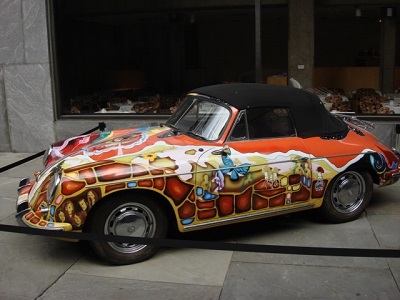 It's spring and the region calendar is filling with many ways to enjoy your Porsche and the company of other members. In April we have a tech session to explain what driver education is all about. In June our legendary all-day driving tour with a lunch stop will provide lots of seat time. There's a three-day weekend driving tour to Galena. 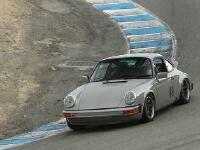 Ill., and a full day of track time at Road America in August. Check out the details of these activities and the rest of what's on tap here in the April newsletter. April 4 - Board meeting. Members are always welcome to pull up a chair and join in the discussion. 6:30 p.m. Location: Milwaukee Yacht Club, N. Lincoln Memorial Drive, Milwaukee. April 13 - DE Tech Session. Learn the ins and outs of driving your Porsche on a road course. We call that drivers education or DE for short. Details here about that session and other dates related to DE for 2013. April 20 - Deadline for down payment for the trip to Germany. Details here. Courtesy announcement. This is not a region-sponsored event. April 20 - Coffee Travelers. Meet fellow members for coffee and conversation at Black Waters in Beaver Dam, 308 S. Center Street. We start at 9 and hang around until 11. See you there. 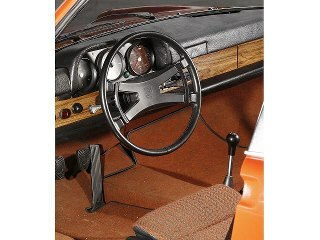 May 18 - Coffee Travelers will meet at International Autos - Porsche, Waukesha. The new Cayman will be on display for your close inspection. Join us for good conversation. 2230 E. Moreland Boulevard, Waukesha. Start time: 9 a.m.
May 31 - DE Instructors training and solo DE event. Details here. Registration is open now at www.motorsportreg.com. Cost is $250; after April 30, the cost goes up to $275. June 8 - Milwaukee Region driving tour. Brothers Jay and Lee Heppe are working on the details for the region's Spring tour. Stay tuned for more information about starting point, destination and other highlights. The Milwaukee Region welcomes these new members who joined PCA in March. Thanks also to all members who renew their membership every month. Jeff Millikin and his wife Judy Millikin, associate members, Viroqua, Wis. The Milwaukee Region welcomes Gregory Junek and his 1986 928-S4 which he purchased from region member Greg Guiliani. "I witnessed him enjoy the car for 14 years and I knew it was a good one," Greg Junek said. "When the car came up for sale we worked it out." He is a facility engineer at a major manufacturer in the area and on weekends he hopes to attend some of club gatherings. 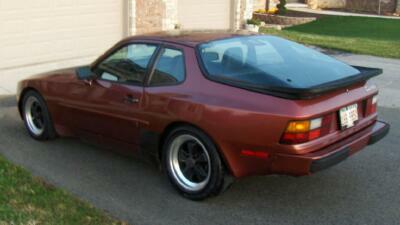 We'll recognize that 928 S4. Jamie Hammond also joined the region recently. He is a maintenance mechanic for Nestlé USA. "I drive 50 miles a day to and from work, and was looking for a automobile that was of the same quality as the German machines I work on at work, so a Porsche was the obvious choice," he said. "I searched the various local sites and I ended up finding one on eBay that I was interested in. I took the number down and a few weeks after the listing had ended. I called and found that it was still available and the next day drove to Illinois and brought it home with me." His car is a plum-colored 1986 944 Turbo. "All the engine updates had just been done and Carfax has proven that it has 78,000 miles on it. There has been been no modifications to the car except stainless exhaust and polished head tower. This is my only Porsche as of now and I am going to try to attend a few of the coffee meet and greets. I am hoping that I will get some time this summer to go on a couple of the runs if my work schedule will allow it. Thanks and I look forward to meeting as many of you as I can." The region has an opening for a person (or two co-chairs) to arrange one or two tech sessions per year. Read the details here about this role and think about helping the region. The region's Coffee Travelers converged on Wales, Wis., in March. Read the report here. The social committee reports that in addition to the trip in May to Galena, Ill., organized by Michael Elliott, the committee also plans a gimmick rallye, a picnic and a few other fun activities. Details on all of these events will be published on the region site as soon as the details are finalized. The March fish fry was a tasty excuse to get out and visit with other members. Read the report here. Check out the latest classifieds. Buy, sell, trade. Ads are posted as soon as possible after they are received. The ad runs for three months. Thanks to Donna Daufenbach for sending along these links with videos of fun driving on the ice. The Milwaukee Region held ice driving events in the mid 1980s. After consistent mid-winter thaws that canceled the events, organizers abandoned the idea, opting for indoor get togethers for the winter. Porsche is celebrating 50 years of the 911. Read about it here. Subscribe to a Porsche newsletter. 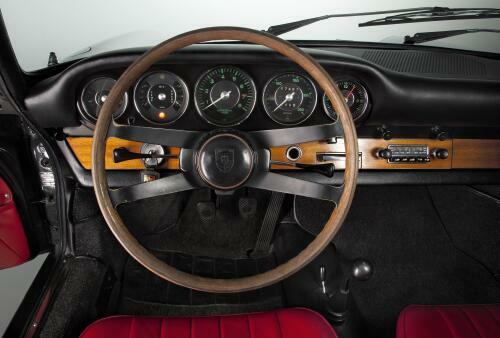 Lots of interesting items as Porsche celebrates 50 years of the 911. 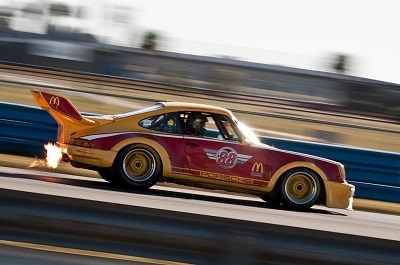 Vote for your favorite 911 here. Future safety features that your car may have? Check out this story. Fifth generation of the GT3 revealed. Check it out here. Your elected members of the board and the committee chairs who organize events are available for your questions and input. The listing is online here. Is your email address up to date in your membership record? If you are not receiving emails regularly from our region, the answer is "probably not." Emails are sent throughout the year to remind you of upcoming deadlines and to announce new events. Email and the region website are the primary communication channels we use to keep you informed. Your membership record can be updated online at www.pca.org. Contact membership chair Donna Daufenbach if you need assistance. See Contact Us page for Donna's contact information. Looking for parts for your 924? 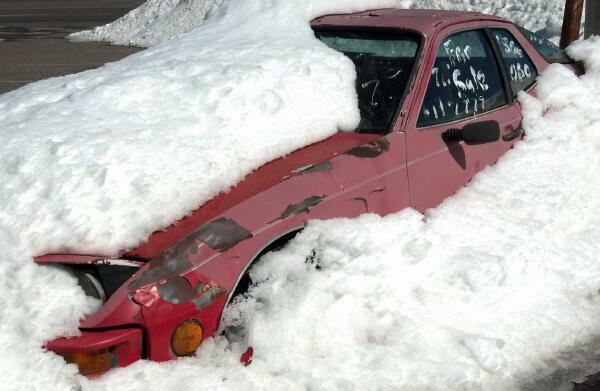 There may be some salvegable items on this neglected Porsche. The paint on the window notes the seller is asking $1,500 or best offer. Contact the editor for information about the location of this former beauty.